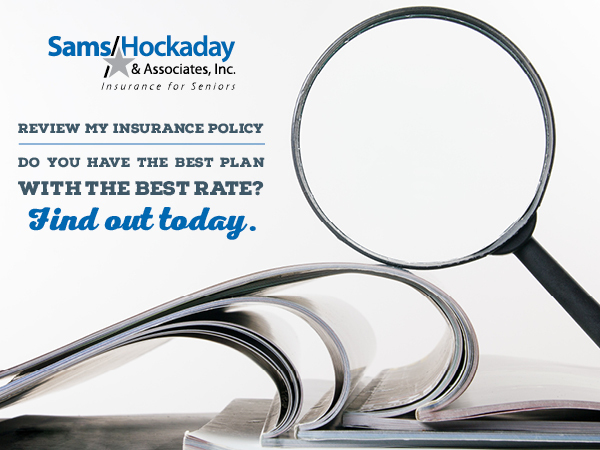 Get a Free Policy Review | Sams/Hockaday & Associates Inc.
Make sure you have the best plan with the best rate with a free insurance policy review. No matter what type of insurance plan you have, it should be reviewed annually. Rates change, circumstances change, and benefits can change. Do you still have the best plan? Are you overpaying for your current insurance policy? Is your coverage the best coverage available? Sams/Hockaday is a local insurance agency in Decatur, IL. We represent a variety of carriers, meaning we can price shop dozens of options for you, and you get to pick the best one. We are not tied to any one insurance company. A thorough review of your current plan – what do you have, and how does it compare to alternatives? If you find out you have the best plan, you can walk away with confidence and reassurance that you’re on the right track.